For the past seven years, Downtown Rochester has put on its annual Fire & Ice Festival, often taking place in January of each winter. The event is free to attend, and runs for an entire weekend, Friday – Sunday. 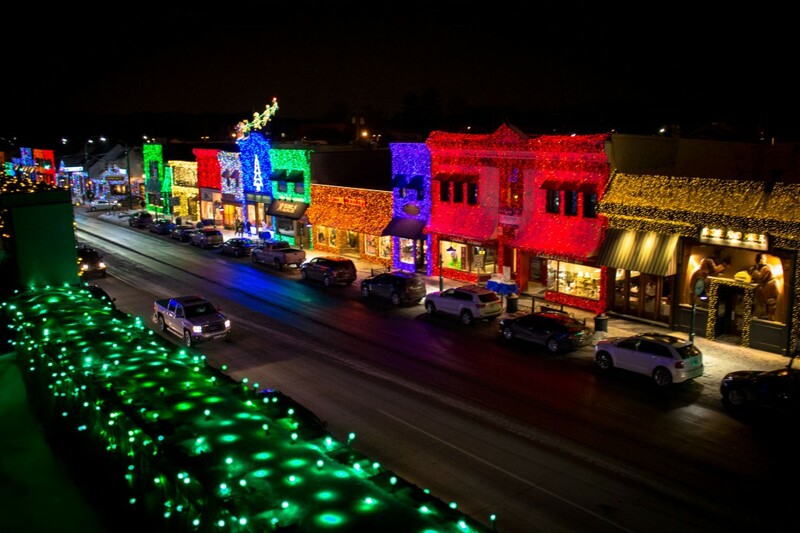 Simultaneously, Rochester has its Big Bright Light Show going on throughout December and the weekends in January, where over 1 million lights are draped over the front of buildings and restaurants on Main Street in Downtown Rochester. Each winter, hundreds of individuals and families come to Downtown Rochester, where the city has set up various games and activities. Many years there is dog sledding, ice skating, ice sculpting, carriage rides around Main Street, and much more. There are beer tents for the adults, marshmallow roasting for the kids, and enough hot chocolate to go around for everyone. On Friday and Saturday nights of the weekend, there are firework shows that light up the sky, looking even more beautiful in the snow. One year, during the 3rd Annual Fire & Ice Festival, there wasn’t enough snow on the ground for all of the activities to take place, because temperatures had been unusually high prior to the festival. Oakland County went and gathered snow from Great Lakes Crossing and from the airport, and delivered it back to Downtown Rochester in time to get it dumped out, on the ground, and ready for the festival. This year marks the 8th annual festival, and the Fire & Ice Festival will be held January 23-25, 2015, and is perfect fun for the entire family! There will even be pet adoptions running during the festival, if you feel like giving back to the community and giving an animal a new and loving home.